As you may have read in the news, FMR joined eight other conservation organizations in initiating a lawsuit against the state. It’s an unusual move for us, but an important one. Here’s why. In the final hours of the 2018 legislative session, lawmakers raided an estimated $164 million from the state’s voter-approved Environment & Natural Resources Trust Fund (ENRTF) to pay principal and interest on state bonding projects. In its 30-year existence, the Environmental Trust Fund has never before been used to pay off state bonds. This raid violates the will of the voters and is unconstitutional. In response, we initiated a lawsuit against Minnesota Management and Budget, the state agency charged with selling these bonds. Also participating in the legal action are the Minnesota Center for Environmental Advocacy, Minnesota Environmental Partnership, Minnesota Outdoor Heritage Alliance, The Izaak Walton League of Minnesota, Clean Water Action Project, Fresh Energy, Friends of Minnesota Scientific and Natural Areas, and the Minnesota Native Plant Society, Inc.
Why is raiding the ENRTF unconstitutional? In 1988 (and twice since then), Minnesota voters approved a constitutional amendment to dedicate a portion of Minnesota’s lottery proceeds to projects that support clean air and clean water. Raiding this voter-backed trust fund to pay interest on state bonds is an awful idea for many reasons, and violates state law and the state constitution several times over. The enabling legislation for the trust fund is clear "...the trust fund may not be used as a substitute for traditional sources of funding environmental and natural resources activities." Debt service on bonding projects has always been paid for out of the state’s general fund, making this a clear case of substitution. The enabling legislation forbids ENRTF money from being used for hazardous and solid waste disposal facilities. Despite this specific prohibition, the raid claims $6 million plus interest in trust fund dollars for the Anoka landfill. The enabling legislation prohibits ENRTF money from being used for municipal wastewater treatment. The raid claims millions in ENRTF funds for just that purpose. State statute requires that ENRTF money is spent according to a state commission's six-year strategic plan for making expenditures from the trust fund. Notably absent from the current strategic plan: a $98M raid to pay for state bonding projects. A $35 million fiscal blunder! These appropriation bonds aren’t just a bad idea – they are a fiscal blunder that will cost taxpayers at least $35 million! Why? Appropriation bonds are not backed by the full faith and credit of the state like regular state “general obligation” bonds are. So they are a much more costly way to borrow money for state projects. Minnesota voters dedicated these funds for specific environmental priorities. The Environmental Trust Fund raid undermines that dedication, and tests an important constitutional principle. The Environmental Trust Fund has never before been used to pay off principle and interest on bonding projects. Unless we stop this unprecedented raid on a constitutionally dedicated fund, all dedicated funds are at risk of being emptied by future legislative actions. The time to act is now. Don’t get us wrong: The proposed raided funds are directed to some great projects. But those projects should be funded through traditional sources of funds (or surplus cash) rather than a raid on a constitutionally dedicated funding source. Legal intervention is not something we take lightly. But exceptional times call for exceptional measures. The Trust Fund raid was an eleventh-hour proposal, passed without public testimony, to borrow for projects at higher interest rates from a dedicated fund in violation of precedent, common sense and state law (four times over). We made every effort to prevent this raid without success. Legal intervention is our only remaining option. Our aim is not to stop these otherwise excellent projects, but simply to get them funded through proper sources and protect the integrity of our constitutionally dedicated funds. We'll continue to provide updates on the lawsuit throughout the legal process, and will keep readers apprised of our work to resolve this trust fund raid during the 2019 legislative session. This won’t be an easy fight, and we’ll need your help to win over legislators and the Governor next session. Join us! 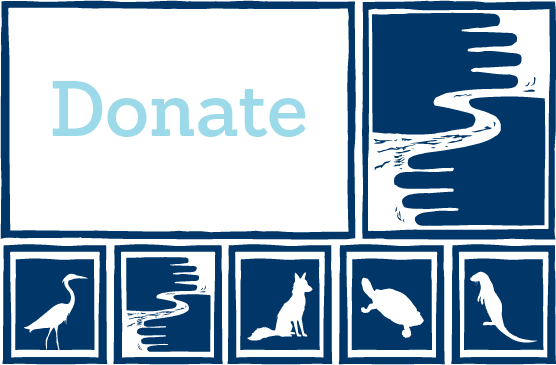 Sign up to be a River Guardian. We'll send you a link to quickly act online when the time is right, and we'll also send occasional invites to special events like River Guardian happy hours. [i] The state’s budget office concluded that Minnesota could afford a bonding bill in excess of $3 billion this year. Lawmakers passed a $825M bonding bill. Legislators could simply have increased the size of their traditional bonding bills instead of raiding the Trust Fund, saving taxpayers more than $35 million. Likewise, the state has a considerable budget surplus and could have funded the controversial projects with cash. This would have eliminated any interest expenses, saving taxpayers about $66 million in lifetime interest payments.